There is a significant lack of documented research on Australian school improvement that is contextualized within business improvement model settings. This is the case even though Australian schools have been operating within a business environment for a while now. This chapter aims at addressing this gap by discussing what educational quality is within schools. It will present an adapted version for continuous school improvement within school systems in Australia. This adapted version of continuous school improvement provides a theoretical framework on how schools operating as self-managed business systems can ensure that the delivery of educational quality is strategically sustained at the organizational level and that focus remains on the important core business of student learning. This adapted version has been described as strategic TQM and a case is made for its use in Australian schools through five transformations that are brought about through the SCOPE cycle for school improvement. For decades there has been a concerted effort at the international and national level to improve educational quality as part of both international and national educational reform agendas. However defining and coming to an understanding of what educational quality is, has been an ambiguous and difficult journey. There is in fact no universal agreement on its definition, its processes, its methods for measurement, and the complexity of many simultaneously interacting relevant variables that would need to be analysed. This ambiguity in itself provides credence to the fact that educational quality is not a universally defined phenomenon but something that has to be understood at its point of action albeit having a universally accepted notional framework of understanding that nations strive to achieve. As seen over the years, some of the problems endemic to studies of educational effectiveness have been attributed to a lack of empirical evidence, a lack of longitudinal studies modelling change, the issue of data analysis methods, problems in the choice of measures for the outcomes, the issue of sample size, and statistical adjustments (Hill, Rowe, Holmes-Smith & Russell, 1996). In a rapidly changing environment of social and economic globalisation, education is identified as a primary centrepiece and a requisite for fulfilling many individual, familial and national aspirations (Adams et al., 2012, p. 6). Hill, Mellon, Laker and Goddard (Hill, Mellon, Laker & Goddard, 2016) suggest that, “The strength of a nation’s economy and the vitality of its society depend on the quality of its schools”. Hill, Rowe, Holmes-Smith and Russell (1996) go on to describe how, “The provision of schooling is one of the most massive and ubiquitous undertakings of the modern state. Schools account for a substantial proportion of public and private expenditure and are universally regarded as vital instruments of social and economic policy aimed at promoting individual fulfilment, social progress and national prosperity” (p. 1). Taking Australia alone as a case in point, it has been found that Australia’s declining performance across maths, reading and science may cost the country approximately $120 billion over the coming decades (Hetherington, 2018). This indicates the substantial role that the quality of education plays in any nation’s success. In such an environment, understandings around educational quality have understandably become much more complex and comprehensive. Quality Assurance: Refers to the policies, processes and actions through which the quality of a system is developed and maintained. Quality Enhancement: Refers to the improvement of educational quality brought about through cycles of continuous improvement and innovation so that it becomes the culture of the educational organisation. Continuous Improvement: Refers to a long-term approach towards improvement that systematically seeks to achieve small, incremental changes in the organizational processes that lead towards improvements in efficiency and quality. It is also known as Kaizen and is the responsibility of every person in the organisation, not just a selected few. Total Quality Management: Refers to a systematic approach to the practice of management within an organization. 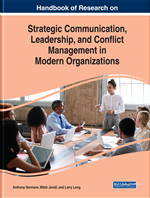 At the organizational level it requires changes in organizational processes, and strategic priorities; and at the individual level, it requires changes in the beliefs, attitudes, and behaviors of individuals working within that organisation. It is considered both as a philosophy and a set of guiding principles for organizational management. Strategic TQM: It provides schools with a substantial philosophy, tools and processes to organize themselves to meet and sustain change and improve themselves continuously.